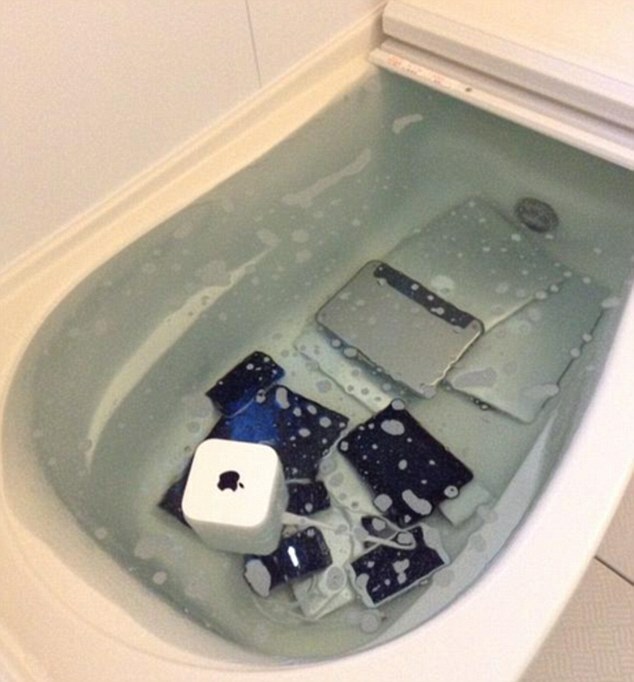 A Japanese woman got sweet revenge on her cheating boyfriend by giving his Apple collection a good bath. 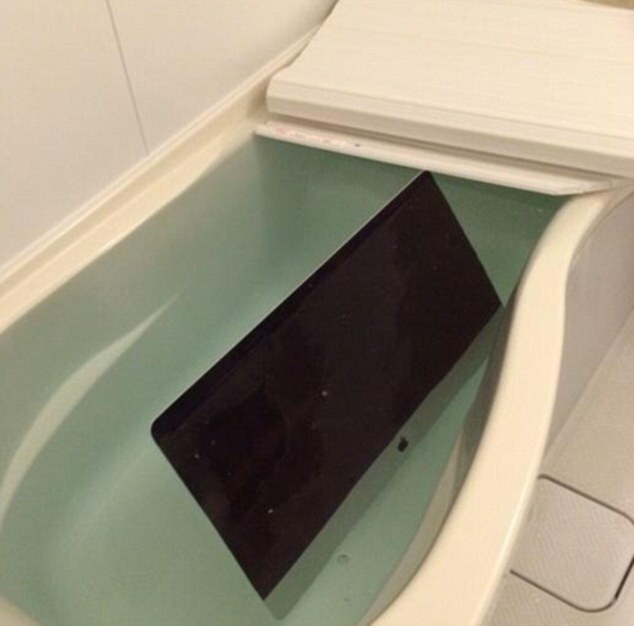 The unnamed woman dumped his iMac, iPhone, iPad and accessories in the bath tub. She then took photos of the bath of revenge, and sent the pictures to him. The unnamed cheater, tweeted the pictures to his account @foolishnessfly2 and it was retweeted more than 17,000 times. The bath looks really smaller. If this was RW Editor Stacey’s BlackBerry’s I’m sure we would be reporting a death – but then again she doesn’t cheat. LOL. I jest. What are your thoughts? Post your comments below.